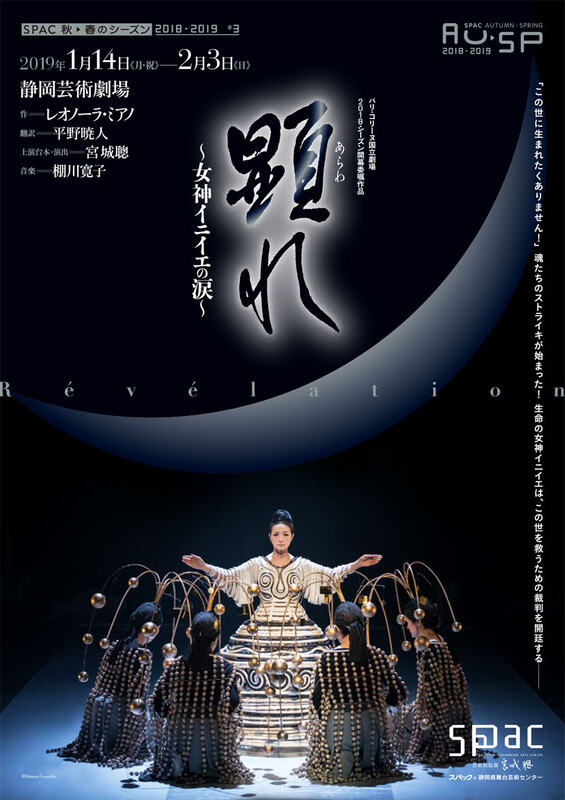 A drama that deeply cuts to the truth of the slave trade which caused the disintegration of Africa is recreated as a theatrical musical with a festive atmosphere with Miyagi’s distinct views on life and death. The actors’ voices and bodies and the music together play a hymn to human dignity. Miyagi and SPAC are privileged to bring out this new program at the request of La Colline – théâtre national, a French theatre that exclusively performs works by modern playwrights. 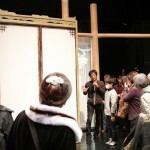 It is the theatre’s first time to have a Japanese company create a program to open a new season. This program is based on the groundbreaking work of a Cameroonian female author living in France, Léonora MIANO. This program was performed for the first time in the world in Paris in September 2018 and will be brought to the Shizuoka Arts Theatre in January 2019. The Creator of all living things, Inyi, sees the rise of a new challenge—a “strike” of reincarnating souls refusing to go back into human bodies against the laws of the universe. Inyi gathers the lost souls to ask the reasons for their resistance. There, she hears the cries of the souls that have gone through horrible lives as slaves. Inyi starts on the judgment of the souls that created the causes for their cries. Pre-Performance Talk: Starting 25 minutes before each performance. Post-performance talk by the artists and guests: after the performance. Meet us at Cafe Cinderella! After the performance, the actors will come to see you off in their stage costumes. We hope you will take this opportunity to interact with the actors! The technical staff will take you on a special backstage tour. You can also ask us your questions about the stage. Free of charge. Reservation required. Up to 40 people. SPAC actors will give beginner audiences a lecture on what to look for and pay attention to before the performance. This event can be participated in by both those seeing the performance for the first time and repeaters. Free of charge. Reservation required. Up to 20 people. Share what you thought about the performance with other participants! Charge：500 yen. Reservation required. Up to 40 people. 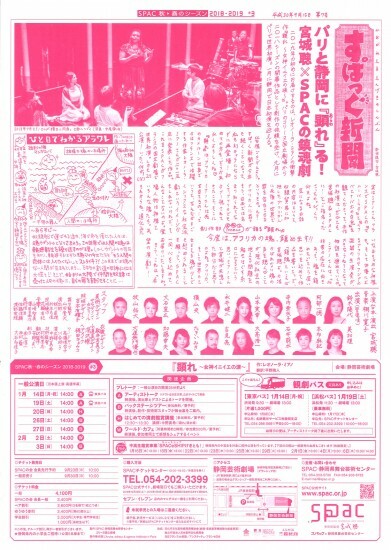 *Returning bus will run after Post-performance talk / Backstage tour. *Cannot use more than one discount per purchase. *Please inform use of discount when making reservation. – Please enter from the language button “English”. – Payment is possible with the following credit cards: DC, UFJ, NICOS, VISA, and Master. Tickets purchased through this website can be received at the venue from one hour prior to each performance. Available at the entrance counter for leftover seats, from one hour prior to each performance. *Ticket reservations will finish at 18:00 on the day before the performance. Please refrain from taking infants to the ordinary seats. SPAC provides a nursery room where you can watch the performance with your infant children. Please contact us at least one week in advance if you would like to use the free nursery service run by volunteers. Copyright SPAC : Shizuoka Performing Arts Center All rights reserved.